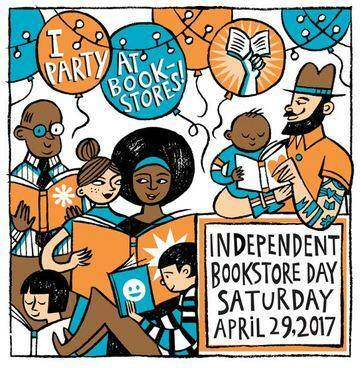 Kris Dinnison | More fun was had…Indie Bookstore Day! Auntie’s Bookstore put on a pretty amazing celebration yesterday with everything from in-house live art, to music, to championship yo-yo demonstrations. 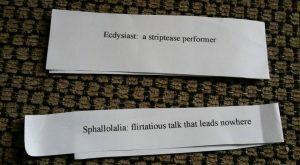 Since I have few useful public talents, I handed out new words to unsuspecting book buyers. They seemed okay with it for the most part, although a couple of people said no, they didn’t want to learn a new word. I’m steel reeling from their rejection. Support your local or online independent bookstore. It matters.